Much ink (and many pixels) has been spilled over thinking about the use of questions in museums. 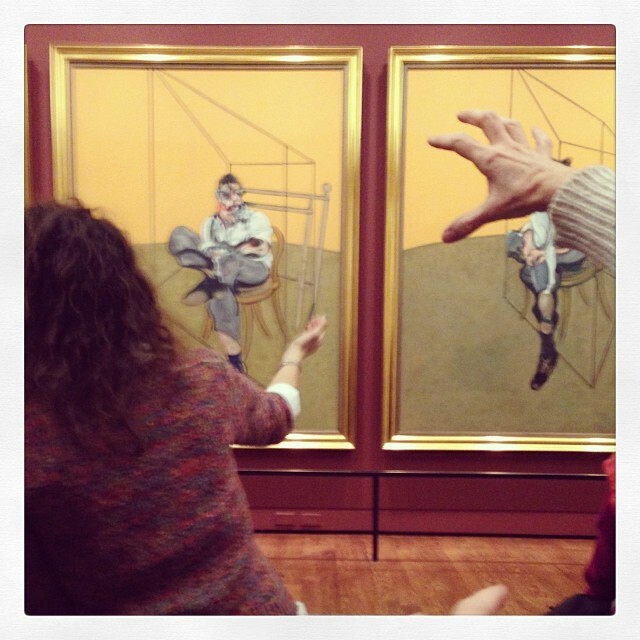 I, myself, have given considerable thought to not only how we as educators employ questions in our own inquiry-based teaching, but also how we might get museum visitors and learners to ask more questions – to wonder more about the objects, collections, stories, and experiences brought forward by museums. I owe a great deal to the thinking of other educators and cultural leaders like Rika Burnham, Elliott Kai-Kee, Nina Simon, Philip Yenawine, and many of the folks at Harvard’s Project Zero, to name a few. 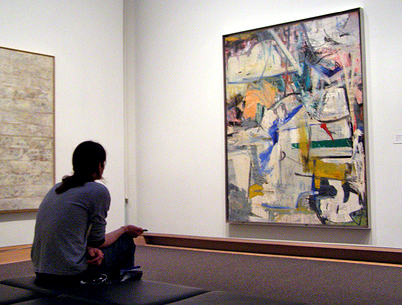 In countless docent trainings, teacher workshops, school tours, lifelong learning classes, etc., I’ve worked to help cultivate a culture of questioning in the space of the museum – exploring creative questions, structured questions, participatory questions, visitor-centered questions, and questions that take a critical look at the very institutions of museums themselves. 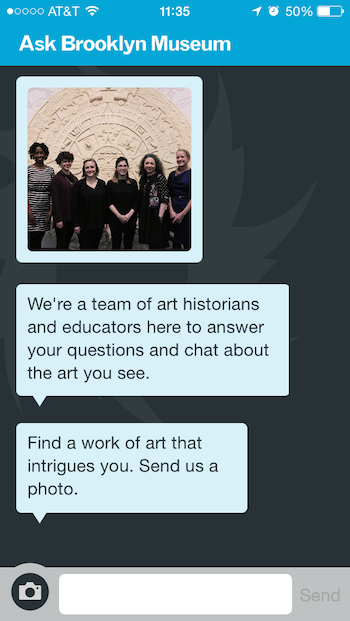 So when I visited the Brooklyn Museum last month, I was intrigued and excited to be able to test out their new ASK app as well as chat with some of the Audience Engagement staff about the intiative. What is the ASK app? ASK is the newest iOS app developed by the Brooklyn Museum to allow visitors to ask questions during their museum visit, and have Audience Engagement staff on the other end answering their questions live via the text-messaging feature of the app. 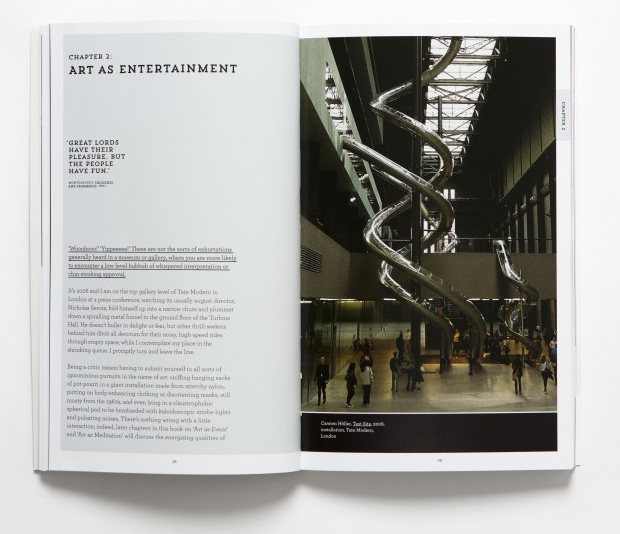 As visitors ask questions, a member of the Audience Engagement staff not only responds to the question, but they know where the visitor is located based on iBeacons that the museum has installed throughout the galleries. In addition to texting in a question, visitors can also send a photo along with their question. 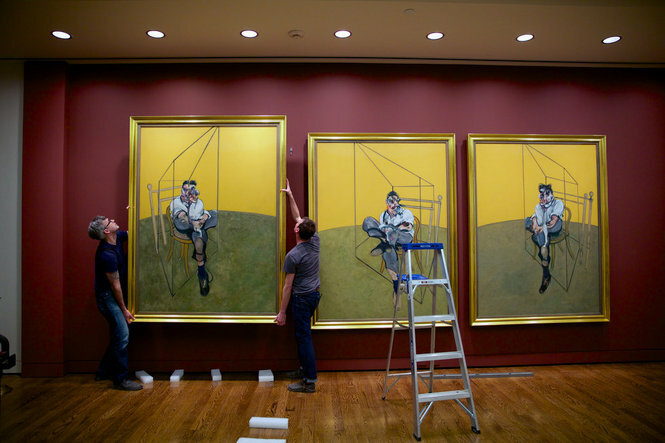 As the Audience Engagement staff receive visitor questions, they have access to a growing wiki that contains information about artworks, related artworks, historical information, and other questions that have been asked by visitors. These staff are constantly building this database of content and context, allowing them to more easily answer subsequent visitor questions. The app works in real-time, but only functions while on site at the Brooklyn Museum (if you want to take any of the experience with you, you need to take screen shots or notes, like I did). 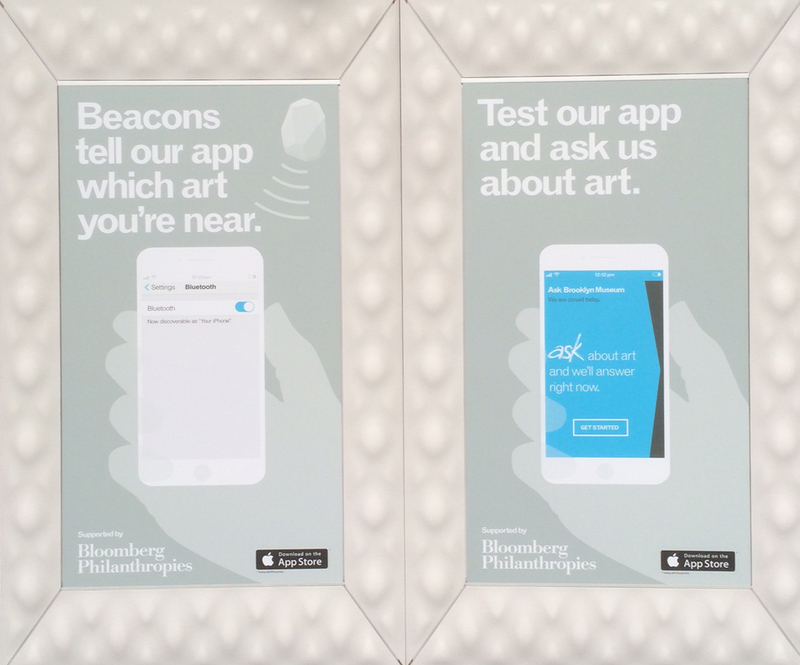 The Brooklyn Museum has been testing the ASK app during the past couple of months (summer 2015), and making changes and prototyping new approaches throughout (which is awesome to see!). As I walked along Prospect Park on my way to the Brooklyn Museum, I began downloading my ASK app (yes, I am a super museum nerd – I’m sure very few visitors have their app ready-to-go when they enter the Brooklyn Museum). Entering the museum, I was prepped to ask questions. Rather than try to ‘stump’ the app experience and try to ask a series of outrageous or challenging questions, I wanted to really see when I would have the natural inclination to ask a question. I even wondered how often I have my own questions while I stroll the galleries of a museum (we think so much about questions as part of the museum experience of others, but perhaps rarely think about our own process of questioning as learners/visitors in the galleries). Not having visited the Brooklyn Museum for quite some time, I immediately found myself wandering around trying to find my way without a map. So question #1 for me was about way-finding: “Where can I find a map?” An immediate response via the app had me even more excited about my visit (now with map in hand). I only ended up asking about 4 additional questions during a 2-3 hour visit, but the exchange with the Audience Engagement team member on the other end was enjoyable and surprisingly engaging. To give you a sense of how natural and conversational it felt, I am pasting a collage of screenshots from a part of our exchange at the right (click on the small image here to access a larger view of the exchange). The ‘responder’ texted me about twice as many times as I messaged them, which shows a really nice level of engagement. The conversation basically occurred in real time, without any awkward silences or wait times. While I was testing the app, the person on the other end was nameless (but I think they’re now testing it with the person’s name included to add more personal connection, which is a fantastic idea). Towards the end of my visit, the staff member invited me to stop by the kiosk on my way out and say “hi.” So I did, and ended up meeting Megan Mastobattista, who has been a part of the Audience Engagement Team since March. We chatted about the project, and I was able to connect a real person to my digital experience (hooray!). ASK team stationed at a kiosk in the entrance pavilion, which is how I experience it. Photo from BKM Tech blog. Overall, I felt that the ASK app experience really succeeded in one area that I know the Brooklyn Museum’s is aiming for with this project: personal connection. 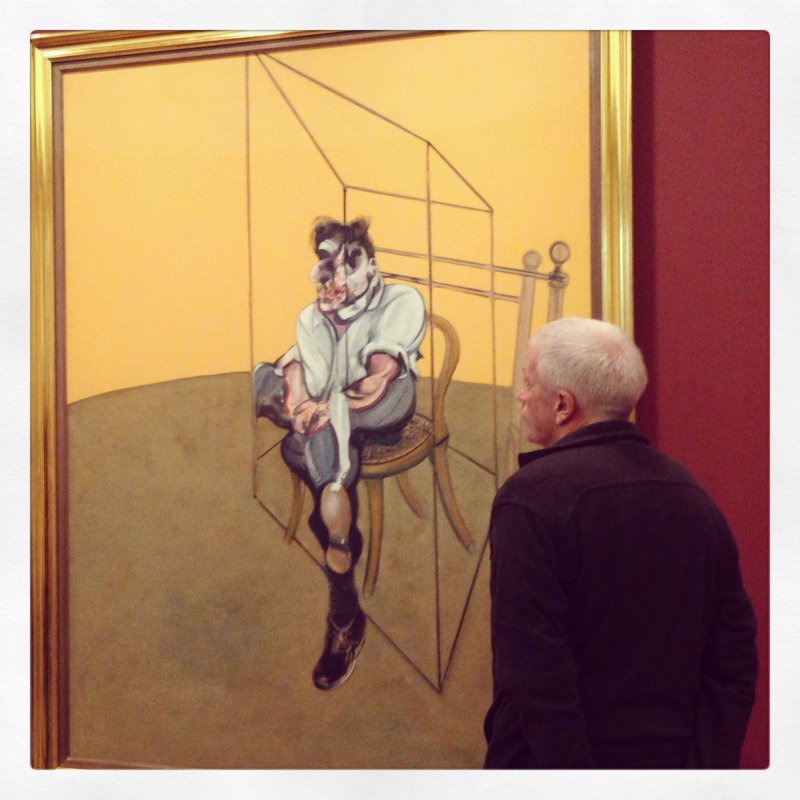 I was highly skeptical of this app when I arrived (to be honest), since I tend to have reservations about anything that creates a culture in museums of asking questions and getting answers – assuming that there is some correct answer to every question, and preventing visitors from simply wondering about art without someone texting them the answers. From the outside, the ASK app seemed to be trying to digitally replicate the older and outdated model of docents, who try to “know everything” and answer any questions visitors have about works of art, history, artist bios, etc. But in experiencing the app myself, I felt connected to the answerer, and I also felt that the goal of the Audience Engagement team was not to specifically answer my questions, but truly to engage in dialogue and prompt more thinking or looking on my part. I could also bring my own knowledge to the exchange, and it was valued and became a building block for further dialogue. Monica also writes more about the thinking behind the opening prompt and the first response to the visitor in this text messaging environment, and how to best spark the conversation I’ve been talking about. 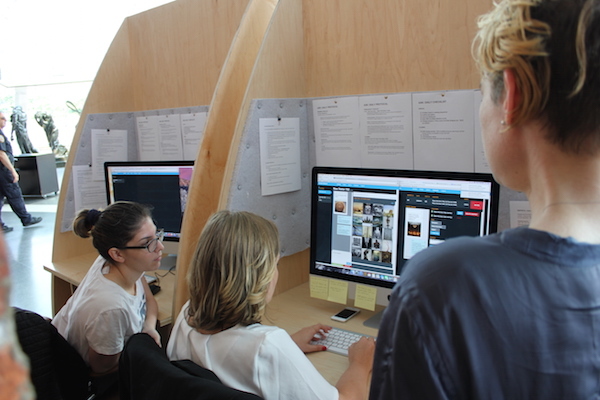 As the Audience Engagement Team at the Brooklyn Museum continues to test and adapt the ASK experience, you can keep in touch via their BKM Tech blog, which is also a great place to learn more about the evolution of this initiative. Also check out Nina Simon’s interview with the project’s lead thinker, Shelley Bernstein. As the team at the Brooklyn Museum collects data on visitor questions and behavior, I’m also very interested to see how it shapes the internal decisions being made about collection installations, exhibitions, interpretive strategies, and gallery design. 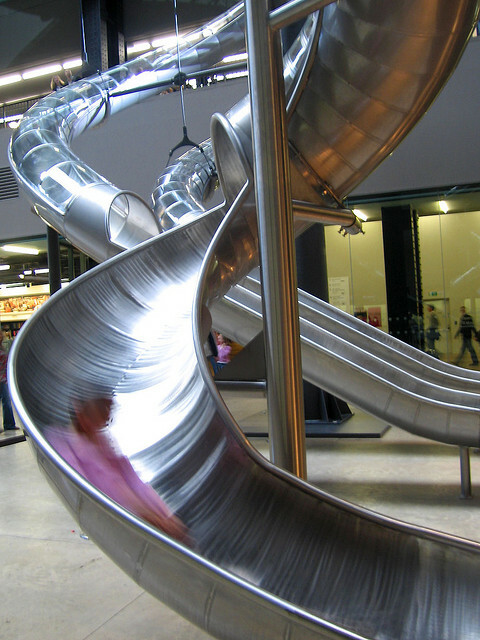 To play off of the quote as the start of this post by David Cooperrider, are we heading toward a moment in which visitor questions will be shaping the museums of tomorrow. Will we ever be living in the museums our questions create? I’d love to hear from others who have experienced the ASK app. What can you share with us about your process of questioning and exchange with the Audience Engagement team? 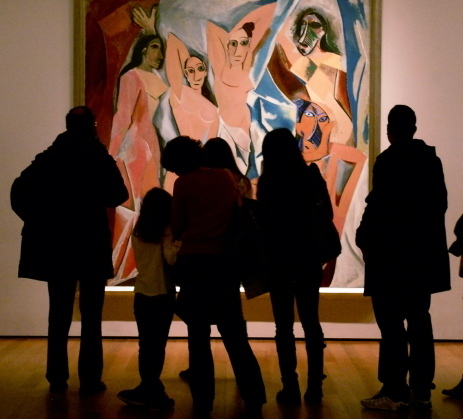 What do you think about this type of museum experience – should we instead be focusing more on human, face-to-face engagement rather than the digital? Please share and keep the dialogue going. What do I have to do—beyond just staring—to get the most out of looking at these artworks? What is the importance of any particular work to me? Rather surprised by this line of inquiry, the group took my lead and embarked on this process of personal discovery. To begin, we examined a large photograph that was re-staging a well-known Caravaggio painting, and spent some time sharing our observations and creating what meaning we could by just looking. This loosened them up for the next step, which was going out on their own, finding a photograph they felt connected to, and spending some time with the work exploring personal connections — keeping in mind John Armstrong’s charge ( what is this to me? what does this remind you of? what do you wonder about this image?). After about 20 minutes of self-exploration and ‘seeing for ourselves,’ we gathered back as a group to share the discoveries that everyone was able to make. I am always amazed at how quickly people are willing to begin sharing personal connections, and the conversation began to build. It has been almost 2 years, but I distinctly recall one woman who had lived in Indonesia much of her life, and she told us several intimate stories about experiencing the strife and conflict in her home country and how that related to one of the photographs she chose (an American Civil War portrait that Yonemoto had re-staged with Southeast Asian men instead playing the roles of the soldiers). Others made connections to their own experiences during the Vietnam War, a period which Yonemoto’s images specifically recall for Americans who lived through that era. No doubt, the conversation was significantly more meaningful than if we had simply discussed the “facts” surrounding these works and the artist himself. Like a mantra I often borrow from Rika Burnham, we ‘opened ourselves to the work’ and allowed for a slow, fluid process of perception. We did come to some complex meanings that aligned with the curator’s perspective, but we also made these images our own — allowed them to “matter in a personal sense,” as Armstrong would say. 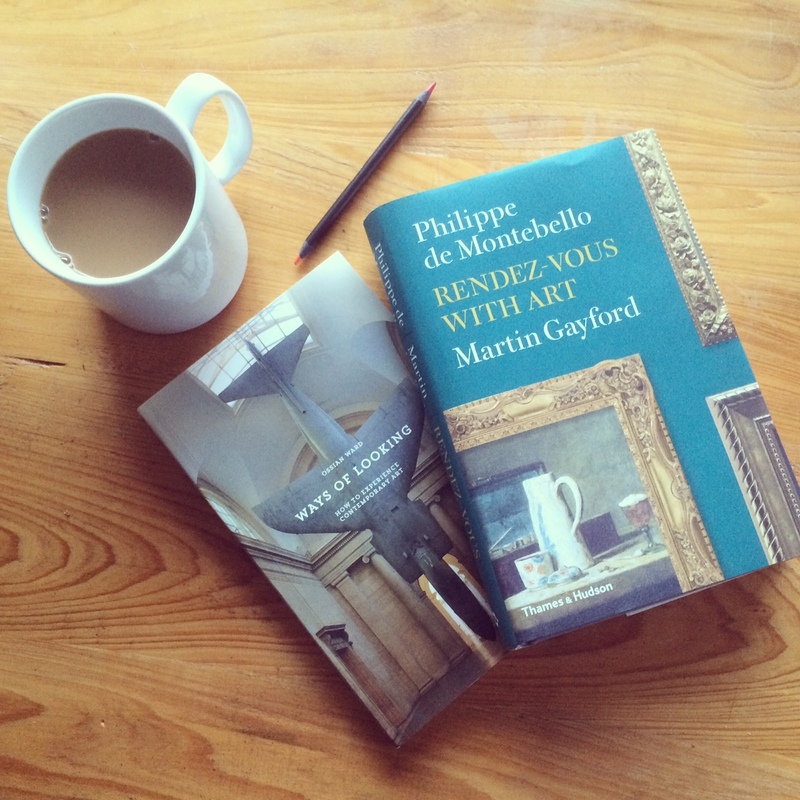 “What good we get from art depends upon the quality of our visual engagement with particular works. We need to ‘learn to look,'” Armstrong writes (60). While I have not led a gallery talk quite like this since then (mostly because the Museum would quickly ask me to stop giving gallery talks, I imagine), I have continued to build a strong element of ‘creating personal meaning’ in the learning experiences I facilitate in the galleries — and the programs I manage for students, teachers, and docents. 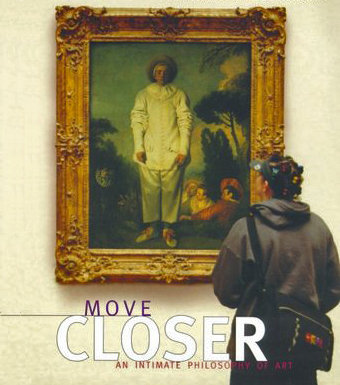 While there are many examples of museum educators writing about the power of ‘seeing for ourselves’ and the value of personal discovery (including some great stuff in Rika Burnham & Elliott Kai-Kee’s recent book and the article by Ray Williams published in a 2010 issue of the Journal of Museum Education), I always return to the words of John Armstrong from Move Closer. Perhaps because my role in working with docents requires me to constantly be tackling issues related to the appeal of information & knowledge versus experience & the multiple dimensions of meaning-making. For many years now, Armstrong’s book has armed me with a clear sense to counter the over-emphasis of information in my work as a museum educator — but also to enhance my own response to art, and get beyond just staring.